Evident from her first book Voica (1924), and up to her last novel Le Témoin de l’Eternité printed first in France in 1975 and translated into Romanian in 1995, Henriette Yvonne Stahl becomes from a promising writer a unique voice in the inter-war and post-war literary scene in Romania. 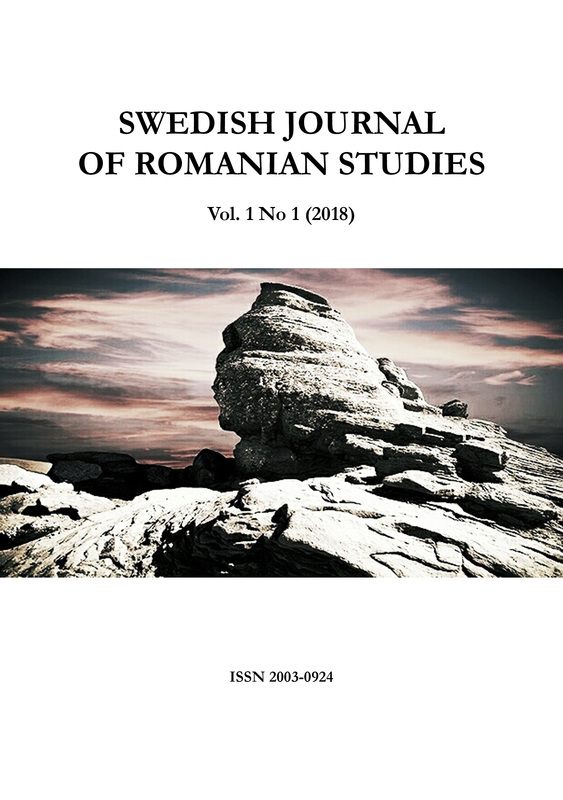 Starting from Rimbaud’s illuminating pensée “Love has to be reinvented” (Felman 2007: 213), this paper aims to explore the identity of protagonists in My Brother, the Man (Fratele meu omul, first published in1965), drawing on identity and trauma theory as developed by Penny Brown (1992), Cathy Caruth (1995; 1996), Shoshana Feldman (2007) and Dori Laub (1992; 1995). In addition, the mixture of memory and narrative analyses types of ‘talk fiction’ (Kakandes 2005), the shift of focus from the subject of remembrance to the mode in which it takes place (Whitehead 2009), and how narratives impact readers (Piątek 2014). Both male and female characters in My Brother, The Man have clear dominant traits, so that their actions and inner voices are marked by abrupt shifts, meant to stimulate a noticeable response from those they love or dislike. Are the main characters engulfed in a dense life texture able to explore their personal dilemmas, difficult choices and detach themselves from the flux of their own passions and desires? Or are they going to fall victim to their own inability to understand life’s meaning, paralleled by a lack of vision and humanity as manifested by other characters? How do they act and react to the actions and emotions they experience? The present paper examines how memories, dilemmas and changes nuance a story moving from a classically-structured narrative to crime fiction, embedding numerous interior monologues and deep psychological impasses, the result being a female novel of self-development. Dana Radler recently completed her PhD at University of Bucharest with a monograph on “Memory and Fiction in John McGahern's Works", following an MA in International Relations at the Faculty of Political Science in 2004. She currently teaches at the Bucharest University of Economic Studies. Her present interests combine global issues, memory and Irish studies, with a particular focus on identity, age and gender as constructs or de-constructs of modern societies. Bălaj, L.-L. (2009/V). Henriette Yvonne Stahl - Between Reality and Fiction. Studii de Știință și Cultură 3(18), 129-134. Bălaj, L.-L. (2013). Henriette Yvonne Stahl: A Special Case in the Romanian Literature. International Journal of Humanistic and Social Studies, IV (1/7), 21-32. Brown, P. (1992). The Poison at Source: The Female Novel of Self-Development in the Early Twentieth-Century. Houndmills and London: Macmillan Academic Professional Ltd.
Burța-Cernat, B. (2011). Fotografie de grup cu scriitoare uitate / Group Photo with Forgotten Female Writers. București: Cartea Românească. Caruth, C. (1996). Unclaimed Experience: Trauma, Narrative and History. Baltimore and London: The John Hopkins University Press. Cristea, M. (1996). Despre realitatea iluziei. De vorbă cu Henriette Yvonne Stahl / About the Reality of Illusion. Talking with Henriette Yvonne Stahl. București: Minerva. Felman, S. (2007). To Open the Question. In E. Sun, E. Peretz, & U. Baer, The Claims of Literature: The Shoshana Felman Reader (pp. 213-218). New York: Fordham University Press. Filote (Panait), E. (2014/X). "The Third Woman" from Interwar Romanian Prose Fiction. Instances, Dynamics of Representation. Philologica Jassyensia, 1(19, supplement), 307-317. Kakandes, I. (2001). Talk Fiction: Literature and the Talk Explosion. Lincoln and London: University of Nebraska Press. Laub, D. (1992). Bearing Witness or the Vicissitudes of Listening Testimony: Crises of Witnessing in Literature, Psychoanalysis and History. In S. Felman, & D. Laub (Eds. ), Testimony: Crises of Witnessing in Literature (pp. 57-74). New York and London: Routledge. Laub, D. (1995). Truth and Testimony: The Process and the Struggle. In C. Caruth (Ed. ), Trauma: Explorations in Memory (pp. 61-75). Baltimore and London: The John Hopkins University Press. Mihăilă, C.-V. (2013/IX). Literary Returns: Henriette Yvonne Stahl or the Fate of an Exceptional Woman to the Backdrop of Dramatic History. Studii de Știință și Cultură, 1(32), 93-102. Mihăilă, C.-V. (2014). Henriette Yvonne Stahl, între mistică și modernitate / Henriette Yvonne Stahl, Between Mysticism and Modernity. București: Editura Muzeul Literaturii Române. Năchescu, V. (2008). The Visible Woman: Interwar Romanian Women's Writing, Modernity and the Gendered Public/Private Divide. Aspasia: International Yearbook of Central, Eastern, and Southeastern European Women's and Gender History, 2, 70-90. Nagy, D. (2014). Instances of Femininity in the Novel Voica by Henriette Yvonne Stahl. Scientific Research & Education in the Air Force. II, pp. 617-622. Brașov: Publishing House of “Henri Coandă” Air Force Academy. Piątek, B. (2014). History, Memory, Trauma in Contemporary British and Irish Fiction. Krakow: Jagellonian University Press. Radstone, S. (2007). The Sexual Politics of time: Confession, Nostalgia, Memory. London & New York: Routledge. Rudman, L. A., & Glick, P. (2008). The Social Psychology of Gender: How Power and Intimacy Shape Gender Relations. New York and London: Gilford Press. Stahl, H. (1975). Le témoin de l'éternité / Witness of Eternity. Paris: Éditions Caractères. Stahl, H. (1989). Fratele meu, omul / My Brother, The Man. București: Minerva. Terdiman, R. (1993). Present Past: Modernity and the Memory Crisis. Ithaca and London: Cornell University Press. Wächter, M. (2011). Women Writers in George Călinescu's Literary Criticism. Studia Universitas Babes-Bolyai. Philologia, LVI, 173-183. Whitehead, A. (2009). Memory. London and New York: Routledge.